This entry was posted in Uncategorized on July 9, 2018 by shreekrishnanetralaya. To vanish your fears of stitches & pads & to give an experience of a smooth procedure , Shree Ramkrishna Netralaya has come up with the cutting edge technology for Lasik . Alcon Wavelight Refractive Suite for a Bladess Lasik procedure . 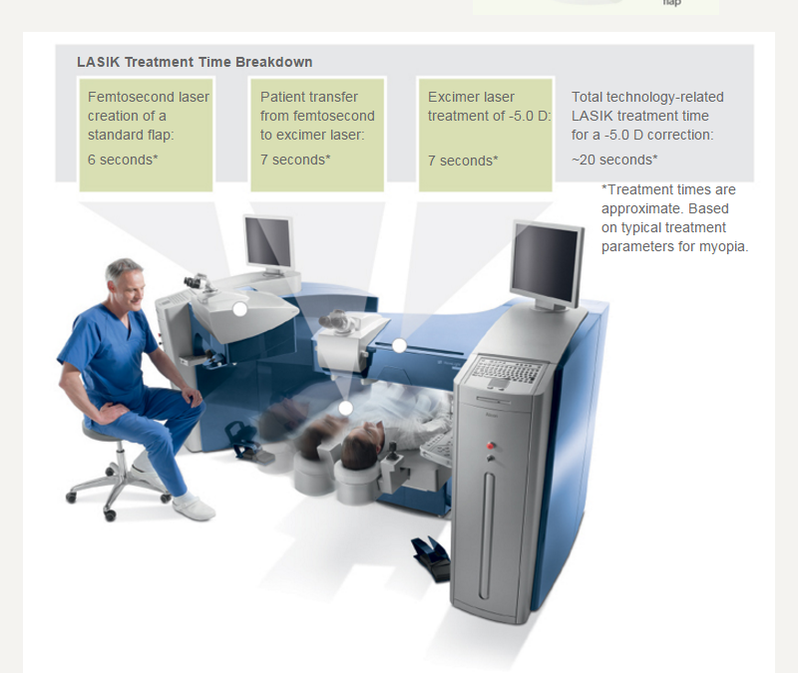 Thanks to innovations in excimer and femtosecond laser technology, that brings in the precision & accuracy . Lead a hassle free life from spectacles & lenses & make choices without any hindrance . 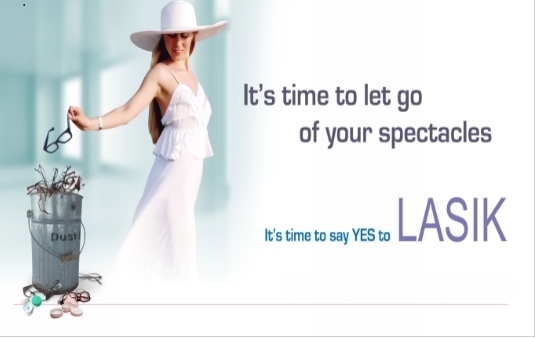 Bladeless Lasik for a confident you ! This entry was posted in Uncategorized on September 13, 2016 by shreekrishnanetralaya. vision but it is freedom from glasses for you! them. Glasses also carry a risk of damage or getting lost but LASIK is you permanent clear vision. A Painless LASIK There is no pain during the surgery, since anesthetic eye drops numb your eyes. Although some patient may experience mild discomfort or a pressure sensation during the procedure. that patients won’t need to rely on glasses or contacts after the procedure. This entry was posted in Uncategorized on January 22, 2016 by shreekrishnanetralaya. In the Digital Era, computers and cellphones have become an essential part of life, from sending emails to watching videos, our eyes are continuously exposed to screens all the time. As a result of this, our eye experiences discomfort and vision problems. Sometimes we also start to see blurry. These groups of symptoms are referred to as Computer Vision Syndrome or Digital Eye Strain. The level of discomfort caused depends upon the time of exposure to the screen. Viewing text on print is different than on screens. The contrast of the background on the text is reduced comparatively, hence making it look blurred. 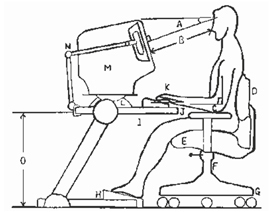 Concentrating continuously on the screen without blinking causes the eye to become itchy and red. Also the air conditioning can cause the air inside the room to dry up quickly and accelerate tear evaporation. Even people who wear Glasses and lenses may find it not suitable to view screen from particular distances, some people tilt their heads because there glasses are not designed for the screens. Having a normally lit room is always better; to avoid glares and reflections on the screen it is better to put your screen away from the window. For a better view, use dark weight fonts on a light background. Always place your monitor level below the eyes. Always take rest in between using the computer for 30-40 minutes. Intentionally increase the blinking of eyes for eyes to be properly moisturized. This entry was posted in Uncategorized and tagged computer vision syndrome, eye care on October 23, 2015 by shreekrishnanetralaya. Presbyopia usually occurs beginning at around age 40, Presbyopia is part of the natural aging process of the eye, and can be easily corrected. The process is as natural as wrinkles, and it affects everyone at some point in life. Presbyopia generally starts to appear around age 40. Develop headaches when they perform near work, such as embroidery or handwriting, eye strain or feel fatigued. 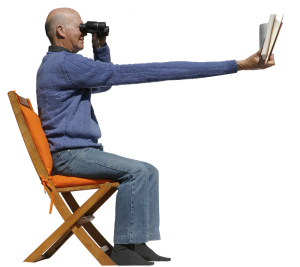 Presbyopia cannot be cured. In its place, prescription glasses, contact lenses, reading glasses, progressive addition lenses, or bifocals can aid to correct the effects of presbyopia. Bifocals are often prescribed for presbyopia. Bifocals are eyeglasses that have two different prescriptions in one spectacle lens. The top part of the lens corrects for distance vision and the lower portion of the lens is designed to help a person see objects up close. New treatments on horizon are Kamra inlays which are small discs with pin hole like aperture in Center are inserted in middle of corneal layers to increase depth of focus. Femtosecond laser assisted presbyopia correction which is a non invasive treatment .Intralenticular cuts are taken to aid in reading. 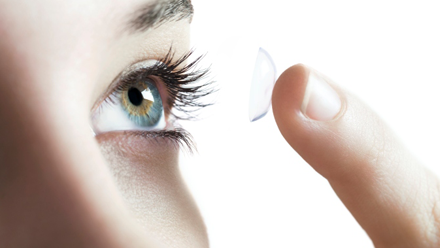 Those who want permanent correction can also undergo clear lens exchange with multi focal intraocular lenses. This entry was posted in Uncategorized and tagged eye care, presbiyopia on September 7, 2015 by shreekrishnanetralaya. 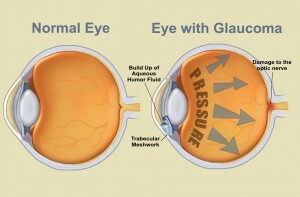 Glaucoma – Can Be The Beginning Of Blindness! In this digital centric world, it is extremely difficult to find people without a digital gadget. People either spend their majority of time on smartphones or on a laptop or desktop. However, people don’t care about how much pressure they are putting on their precious eyes. Yes, looking at the screen on a constant basis causes eye pain, eye itching, and red eyes etc. that give an indirect invitation to various severe eye diseases. Glaucoma is one of the major eye diseases, which can cause complete blindness if it doesn’t get diagnosed at the right time. 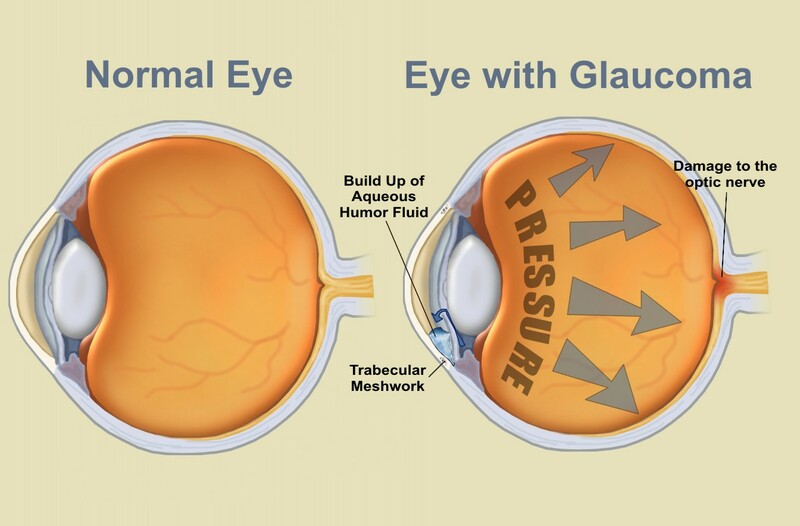 It is a second leading cause of blindness that occurs due to damaged optic nerve and this damage prominently happens due to intraocular pressure or the pressure arises inside the eyes. Optic nerve is the one, who actually supplies visual information to the brain and hence people lose sight. Because of it’s overall syndrome pattern, it is known as a ‘sneak thief of sight’! If you belong any of the above risk factors, then it is highly recommended to get diagnosed as soon as possible before it becomes much severe and complicated. This entry was posted in Glaucoma and tagged Glaucoma, Glaucoma Disease, Glaucoma Patient, Glaucoma Treatment, What Is Glaucoma on November 26, 2014 by shreekrishnanetralaya. This entry was posted in Uncategorized on November 17, 2014 by shreekrishnanetralaya.